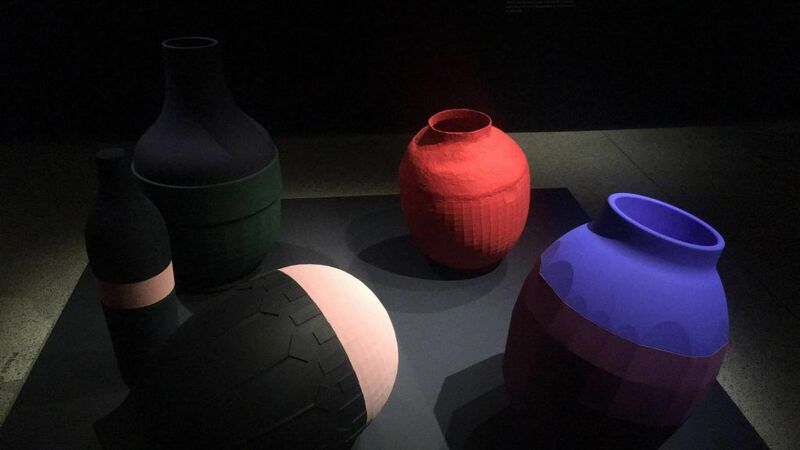 We’re always on the lookout for new ideas and inspiration, so when we heard about the Breathing Colour installation at the Design Museum, we had to go see what it was all about. Dutch artist Hella Jongerius has worked with upholstery company Maharam and as Art Director at Vitra. Her work can be found in MOMA and the V&A. In all her projects she explores a continual process, showing that each element is always part of something greater, both metaphorically and physically. She usually uses industrial production processes, offset with traditional craft methods which can be seen in her latest exhibition Breathing Colour. She doesn’t want viewers to just accept a colour on face value, she believe that colours are “unstable” meaning that they’re ever-changing (a good thing!). She would rather viewers question what they see and understand that there is a gradient of colours, which is apparent on varying textures, surfaces or light sources – this is called metamerism. Usually companies will try and avoid metmerism at all costs, when colours change the consumer will question why it looks different at home compared to how it looked in the shop. Hella Jongerius wants to open the consumer’s mind and help them look beyond a stable colour. Her goal is colour variety, even if these tones are unpredictable. Premium paint manufacturers Farrow and Ball actually used metmerism in their advertising recently, proudly showing their paints do respond to light changes. 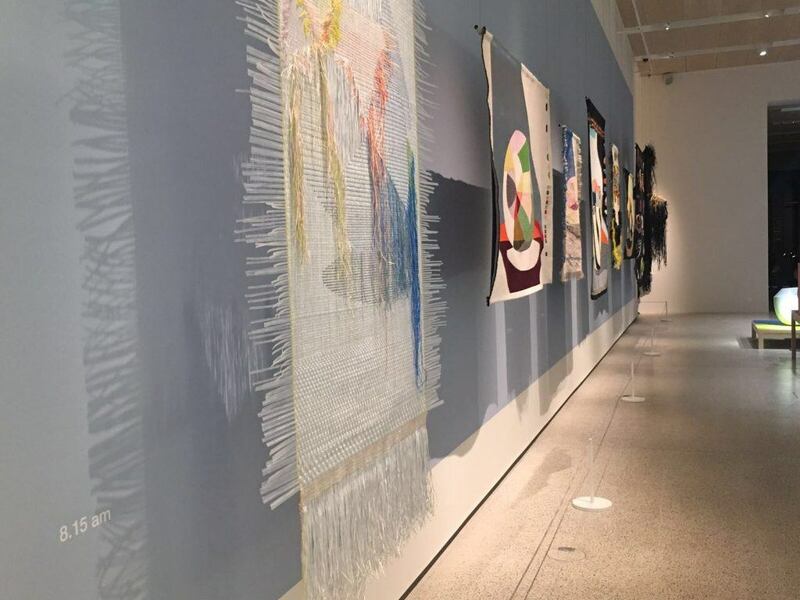 The artist experiments with textiles, weaving a range of different materials together creating something that would never pass industry standards, but is an excellent “colour catcher”. The light will pass through these fabrics, changing the colour as it does. 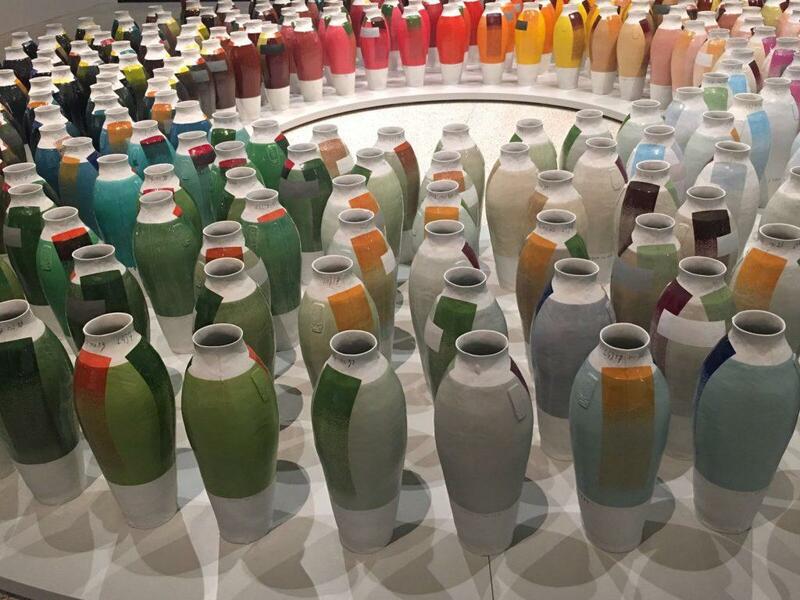 Other “colour catchers” which are seen throughout the installation are the clay vessels lacquered with metal oxides. A major part of the exhibition (and our favourite) addressed colour changes over the course of a day, there’s focus on morning, noon and evening lighting. The morning segment focuses on the quality of light during sunrise; this is portrayed by light fragmentation through transparent beads. For noon, the colours are their most pure and vibrant. Lastly, the evening lighting looks at shadows and variations in the colour black (which Hella Jongerius never uses, she mixes whites, reds and greens). We loved this exhibition and it has inspired us with event design, event management and client relationships, whether it be following a process and focusing on each element for the greater good (the event outcome) or not accepting things at face value, and always trying to improve and innovate. 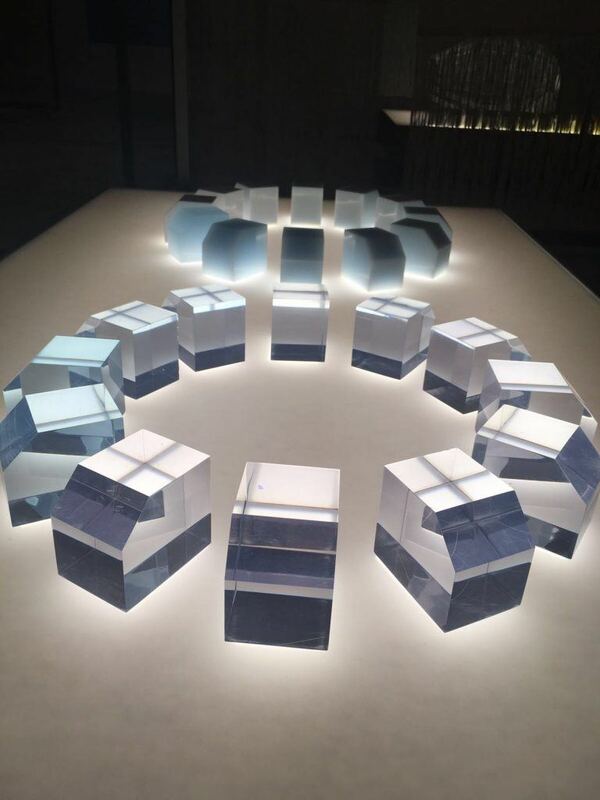 It’s also made us think about venues and theming styles in a different light… quite literally! We can’t recommend it enough, and there’s still plenty of time to get down to Kensington and check it out. 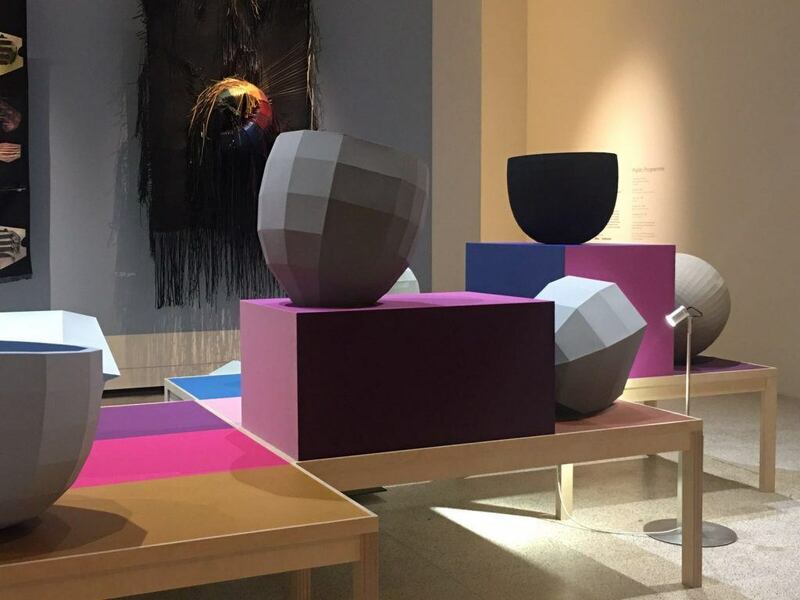 If you’ve already been, let us know what you thought of Hella Jongerius’ exploration of colour.